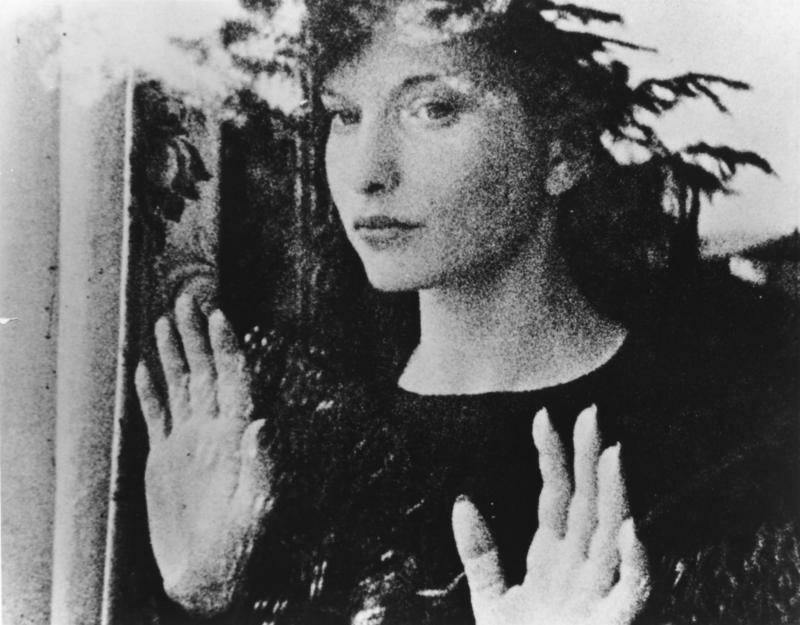 Ground-breaking avant-garde filmmaker Maya Deren died 50 years ago and the BFI is marking the anniversary with a short season in October. Russian-born, she moved to the USA in 1921 and opened a new path for a whole generation of American filmmakers with her first film, Meshes of the Afternoon (1943), which remains a landmark in American experimental cinema. Her body of work may be slim, but her influence as both filmmaker and theorist cannot be underestimated. For Deren, cinema was particularly well suited to investigate the universal rules of human life. Although Meshes of the Afternoon (1943) was a highly subjective film that portrayed a woman’s inner world (played by Deren herself), she quickly moved towards the depiction of the individual in relation to the wider world. Ritual in Transfigured Time (1946) offers a social and mythical vision of women, The Very Eye of Night (1958) represents the movement of the planets through the movement of dancers, and Divine Horsemen: The Living Gods of Haiti (1977) deals with Haitian and Balinese rituals. She described this progression as moving from ‘a concern with the life of a fish, to a concern with the sea which accounts for the character of the fish and its life’ (‘Letter to James Card, April 19, 1955’, Film Culture no. 39, Winter 1965). For Deren, the purpose of art is to reproduce the laws of the universe on a smaller scale in order to experience and understand them. The fundamental role of cinema is in its ability to recreate a world in movement governed by the constant transformation of time and space. Her films continuously shift spatio-temporal boundaries, tirelessly examining and re-examining the human figure in relation to the new worlds created in that way. Deren saw film as a tool particularly suitable to the exploration of a world characterised by constant transformation, be it the fluctuations in the inner world of the individual, or the relationship of the individual to an ever-changing society and to an unstable universe. Deren concentrated on the depiction of movement and variable spatio-temporal relationships on film to convey the universal parameters of human life. A Study in Choreography for Camera (1945) is a formal study of the movements of a dancer in relation to different spaces, the continuity of the movement fluidly linking the spaces. Meditation on Violence (1948) is an attempt to translate a metaphysical reflection on violence visually through the filming of the movements of Wu-Tang boxing. In Ritual in Transfigured Time, Deren explores a social and mythical view of female identity by merging different characters into a collective entity through continuity of movement, ‘one person beginning a movement, and another person continuing it and still another completing it’ (‘Ritual in Transfigured Time’, Film Culture no. 39, Winter 1965). More ambitiously, in The Very Eye of Night, the movement of the dancers is meant to represent the cosmic movement of the planets. She had frequent recourse to myth and borrowed from other cultures in order to attain the universal and paint a more complete picture of human experience. Besides using Chinese boxing in Meditation on Violence, she tackled the very ambitious project to establish a comparison between Voodoo practices in Haiti, Balinese rituals and children’s games in her last project, Divine Horsemen. Writing about that project, she explained she was interested in ‘that which man has in common’ (in Catrina Neiman, ‘An Introduction to the Notebook of Maya Deren, 1947’, October no. 14, Autumn 1980). Rituals and games can be seen as parallel to art in that they are also ways of representing or recreating the relationship of man to the universe. In rituals, members of the community collectively enact that relationship as they understand it; games create smaller, self-contained worlds governed by a limited set of rules that may help the players experience universal structures as a group. Although the project was left unfinished by the time of Deren’s death, her notes reveal the scope of her project, which can be seen as an ambitious survey of various modes of apprehending the relationship of man to the universe. Engaging anthropology was a natural step for Deren, who did not accept impermeable boundaries between art and other areas of thought. For her, art did not have to be separate from scientific studies or philosophical investigations. She believed it was possible to express concerns from all domains of human inquiry in artistic terms: ‘Anyway, I don’t see why you have to leave facts and ideas out of art. Why not coordinate the whole business in the creative terms of art?’ (‘From the Notebook of Maya Deren, 1947’, October no. 14, Autumn 1980). The legacy of her view of art as a far-sighted, wide-ranging, inclusive practice bridging all areas of human knowledge can be seen in the work of Hollis Frampton, Michael Snow and Stan Brakhage among others.